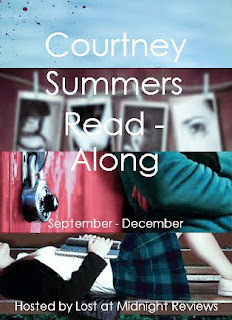 Welcome to the first discussion post for the Courtney Summers Read-Along! *throws confetti* Today, we're going to be talking about the first seven chapters of Cracked Up to Be. Since my dear friend Crimson is going to be running the discussion posts this month, I'll throw it over to her! Just a warning though, there will be **MINOR SPOILERS** in the discussion post below! First things first: I don’t think I could ever do justice to this book and everything I wish I could say about it. But that’s okay. As we do these discussions, I’m going to try to hit some of the main points that I see popping up in the chapters, and hopefully that’ll spark some dialogue, to use a term my professors are obsessed with. So now we’ve all read the first seven chapters of CRACKED UP TO BE (and if you haven’t, what are you doing reading this? Because I’m going to spoil some stuff for you). The thing that always catches my attention each time I read this book is that it really doesn’t hold back anything, starting with the opening paragraph and first bit of dialogue. Well, I’m not going to go that far, but I do think there’s an interesting juxtaposition between the opening paragraph that’s pretty depressing and the first bit of dialogue that’s kind of hysterical (which is pretty much how I describe Courtney Summers books to those who haven’t read them yet), and it’s just so honestly and unapologetically high school. Even when I first read it, I had been out of high school a few years and I still got those (highly unwelcome) flashbacks to high school, which is just about the worst time in anybody’s life and if someone tries to tell you differently, they’re lying (so thanks for that, Courtney Summers. I hadn’t been missing high school). And, of course, we have to talk about Parker. She has to be one of my favourite narrators/characters I’ve ever read about. I mean, let’s be real, in high school, I would never have been friends with her, not that I think there’s remote chance she would have ever wanted to be friends with me. She’s a mean girl. There’s no way around it, and she wouldn’t claim otherwise—just look at the way she purposefully tortures Jake, who’s got to be one of the most patient guys I’ve ever read about. Plus, I won’t lie, I think it helps that she’s funny as hell. I think it’s one thing to have a mean character (though those are often my favourite ones because it’s interesting to see what makes them the way they are). It’s an entirely different thing to have a mean character who’s also hysterical (and it’s okay if I laugh at the things Parker says about people because they’re fictional and therefore you can’t make me feel bad about it!). So what do you think of Parker as a character? 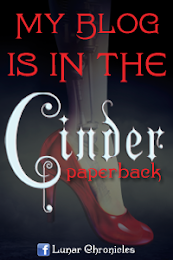 As a narrator? Is she an “unlikeable” character? What even constitutes “unlikeability”? Do you connect to Parker? How does humor work in these beginning chapters? What do you think about the relationships between these characters, especially with Parker? One of my favourite moments in this book is in chapters 4 and 5, when Parker and Jake take the bus together (sort of) and go to the ravine to get the picture for art class. Their interactions in these chapters, I think, are really revealing of their characters, especially Parker and this sort of mask she puts on for other people. And also, I kind of wanted them to kiss, but of course you know they’re not going to. And, because it has to be asked, how adorable is Bailey? What are YOUR thoughts on the first seven chapters of Cracked Up to Be? I actually finished the whole thing! haha! I was surprised by how much I liked and enjoyed it because parker is the closest character I can label "the real one". You see, she's just so real. Her ways of talking, how she snaps at people, how can she be so brutally frank.. I've seen that in real life! I really like her! So my first impressions of Parker were that I couldn't stand her. But also that I was kind of like her for a brief period during high school? I say "kind of" because I don't think I was ever as mean as Parker, but I definitely understand that whole wanting to distance yourself/pushing other people away - maybe this is also why I couldn't stand her? Because I'm not overly fond of the memory of that version of myself? All of this kind of answered your first few questions without totally meaning too. I get really frustrated when people tell me they don't want to read a book where they don't like a character (I'm distinguishing here between "poorly written" and "not likeable") because I don't think they're getting enough out of the book. I don't think authors set out to write unlikeable characters for no reason. Either there's something deeper going on, or there's some message being communicated or it's pointing out some character traits that many of us have/have had that we may not want to admit to. And I *think* (based on what I've read so far) that Summers is doing all three of these.